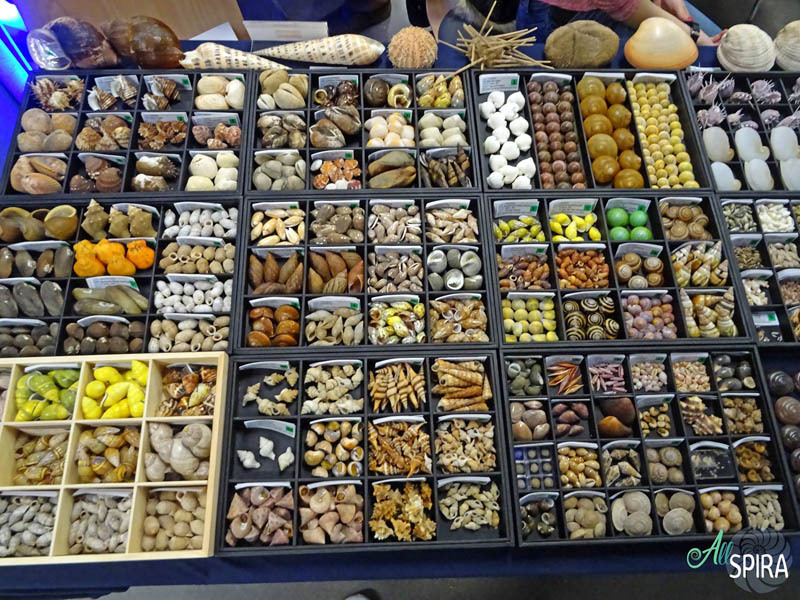 Large size pieces. 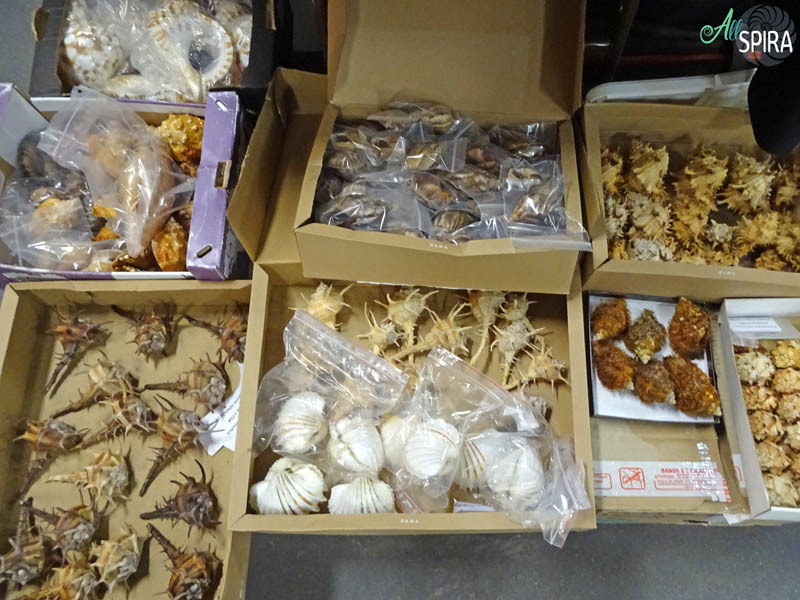 Spondylus calcifer, Lobatus galeatus, Lobatus peruvianus, Neorapana muricata, Neorapana grandis, Hexaplex regius, Hexaplex radix, Tribulus planospira, Pteropurpura centrifuga, Macrocypraea cervinetta, Conus fergusoni, Chicoreus spectrum. 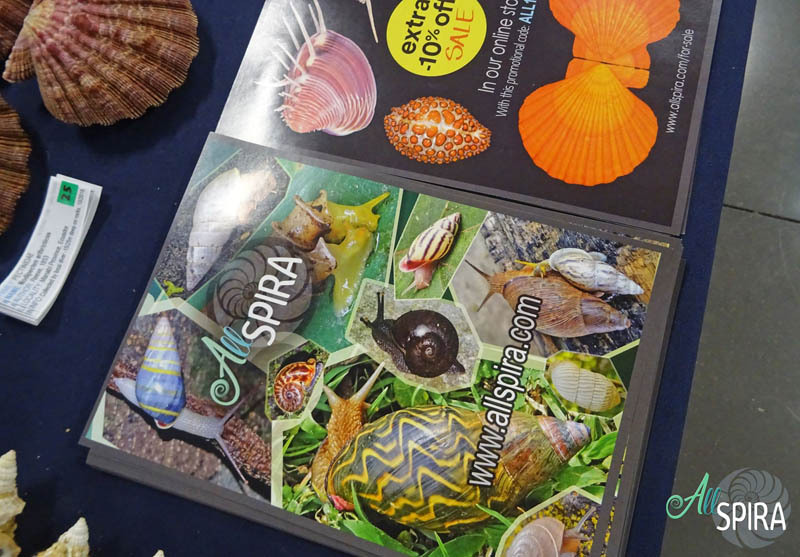 Our promotional flyer about the website to attract customers of the shell show to visit our online shop. 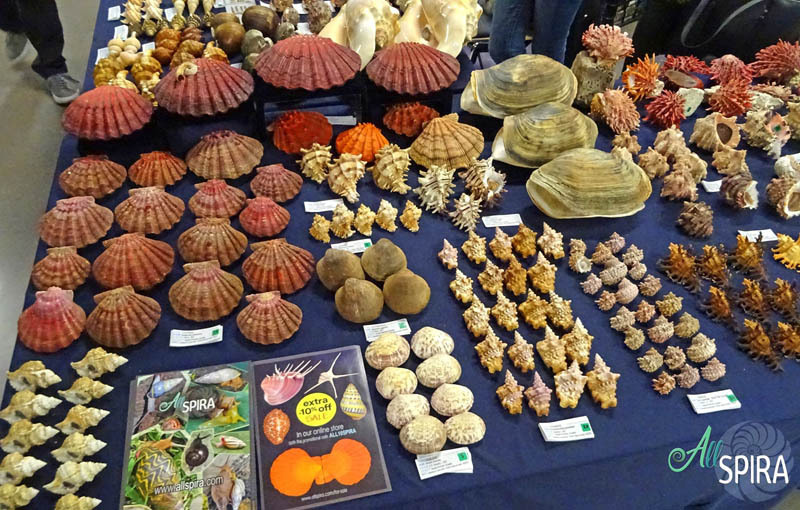 Nodipecten magnificus, Nodipecten arthricticus and Nodipecten nodosus. 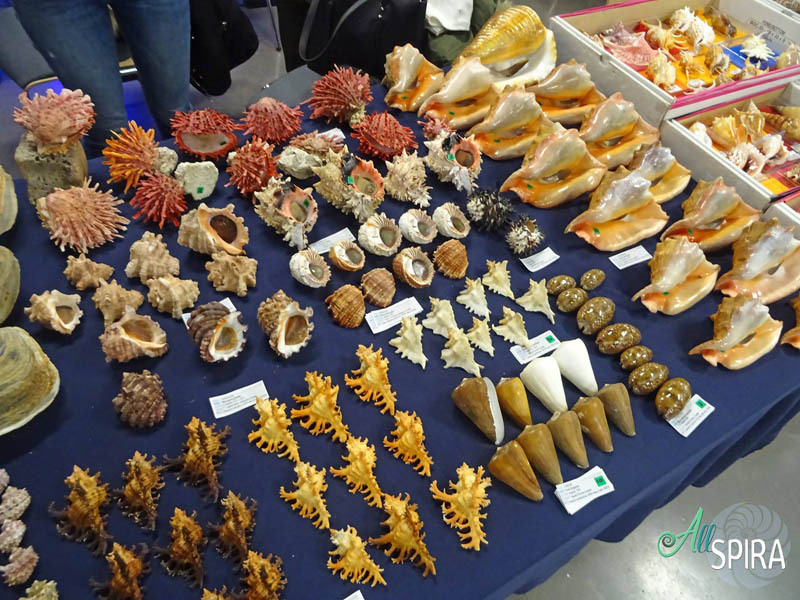 From here start the photos of the stands from other dealers at the show. 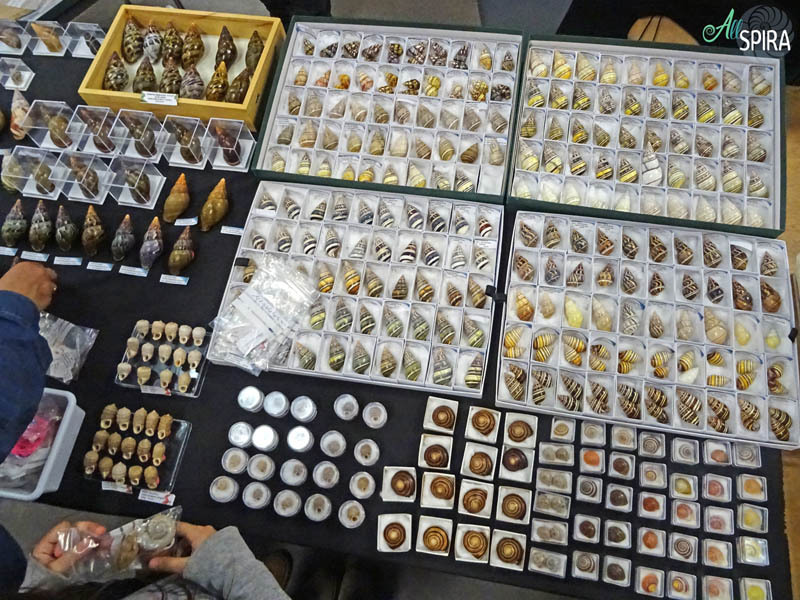 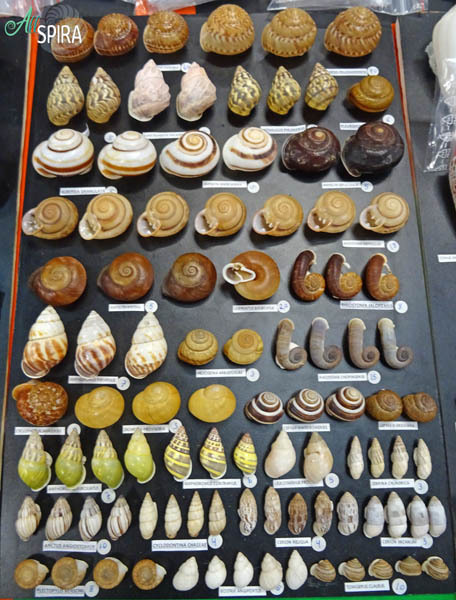 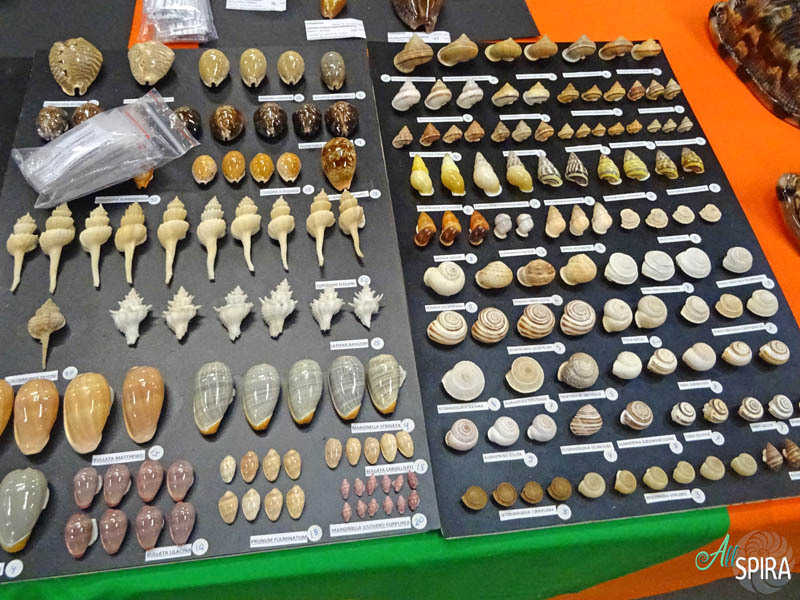 Marine shells mostly from Brazil and other varied snails. 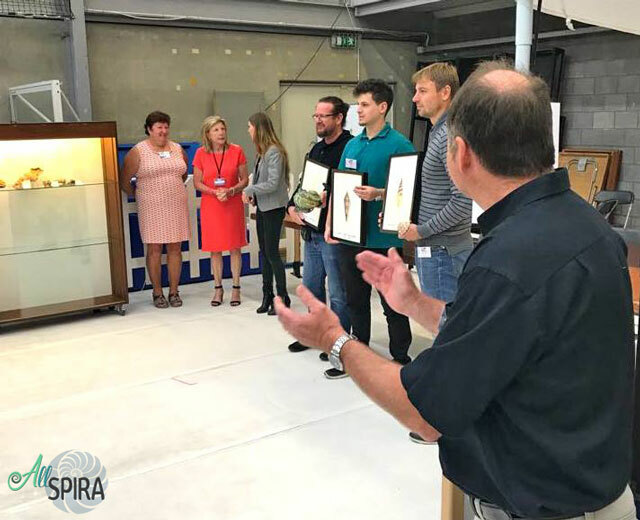 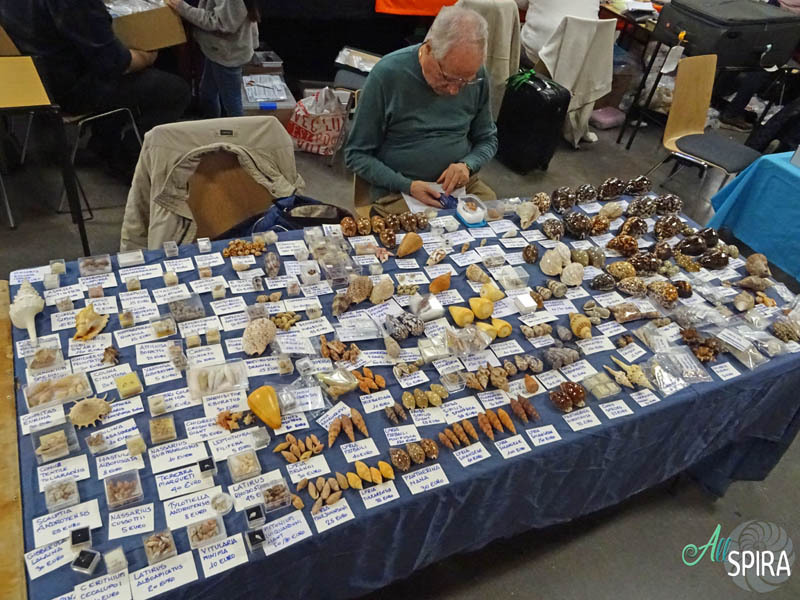 We hope you enjoyed the photographic report of this great event. 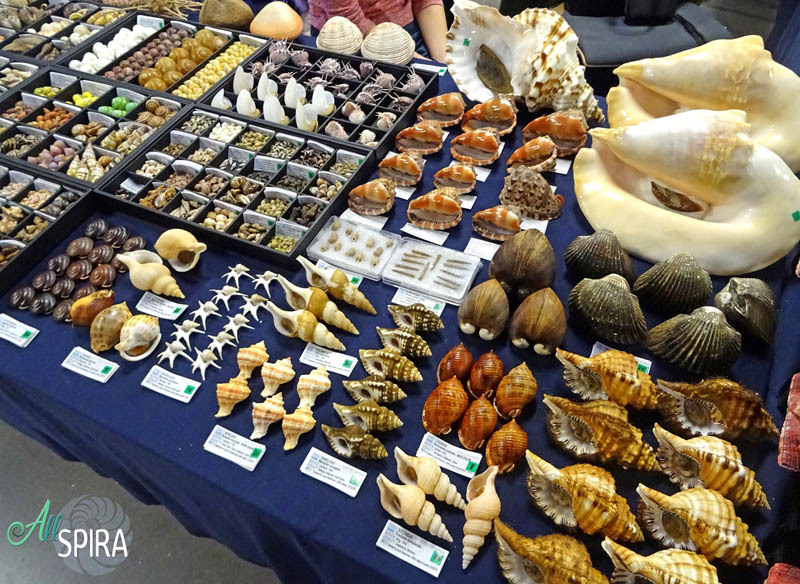 Undoubtedly, a good opportunity to buy shells personally, often is better than internet (especially if there are expensive or exclusive pieces) since you can see them and make sure of the good quality. 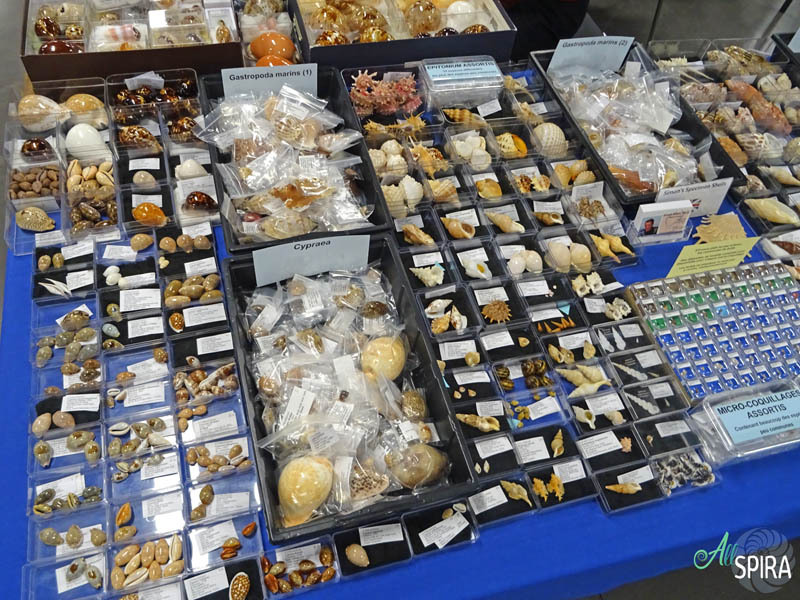 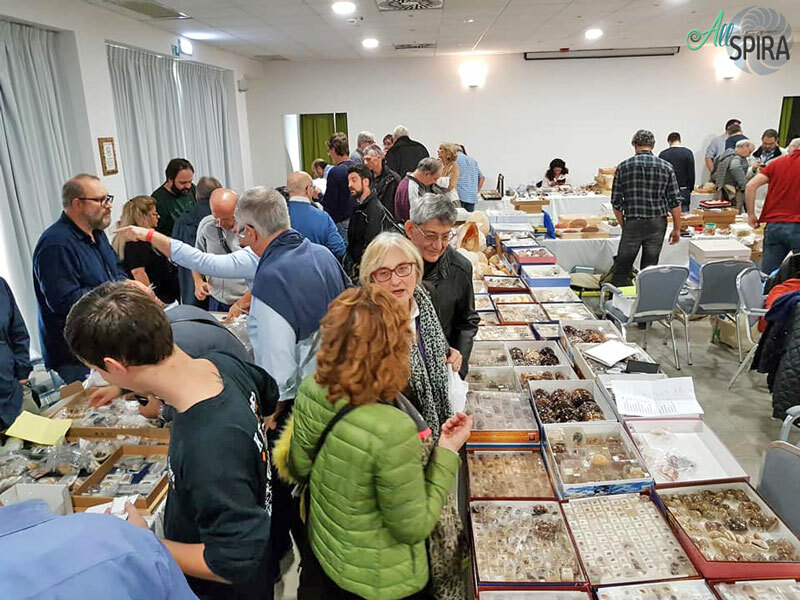 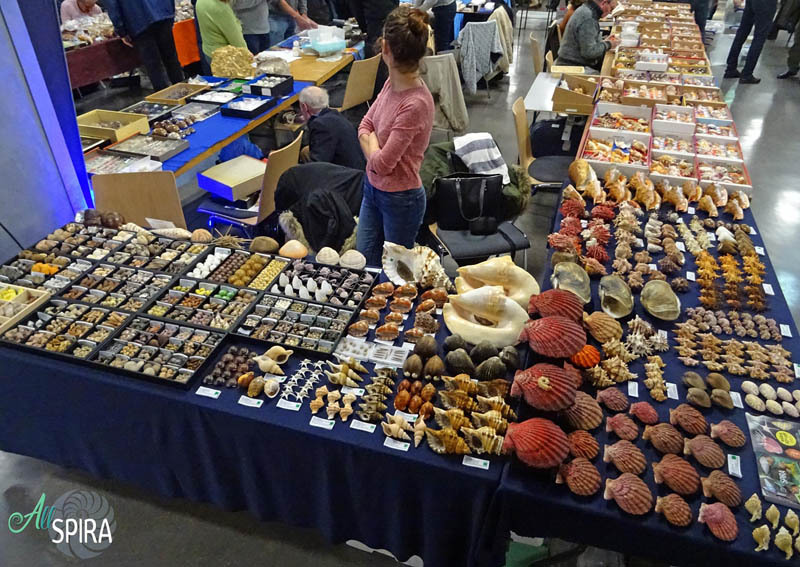 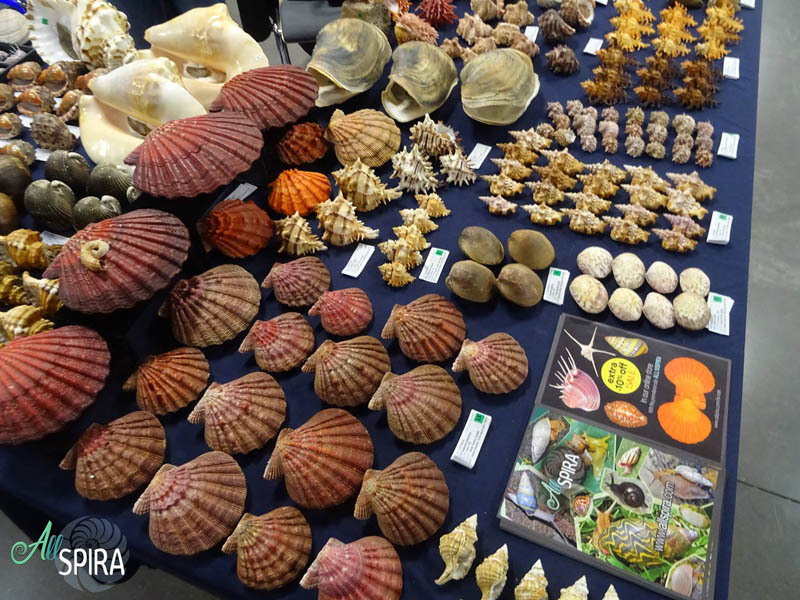 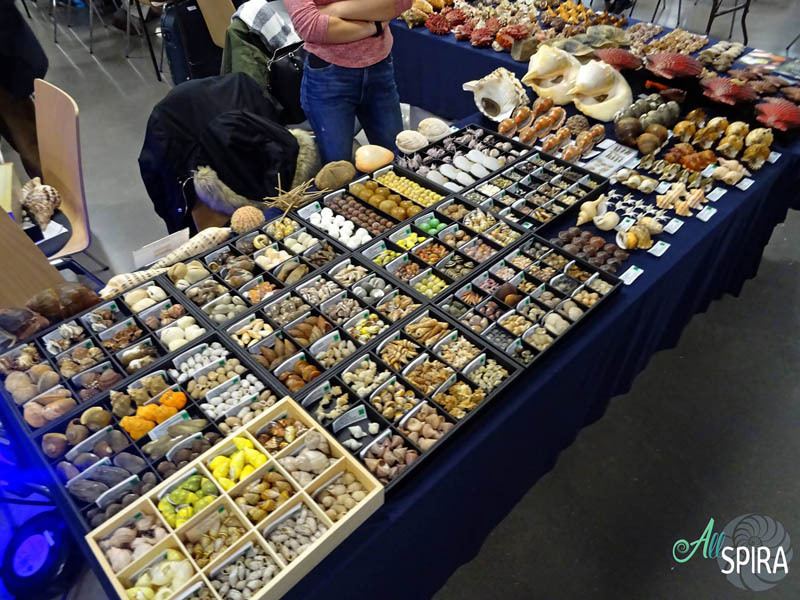 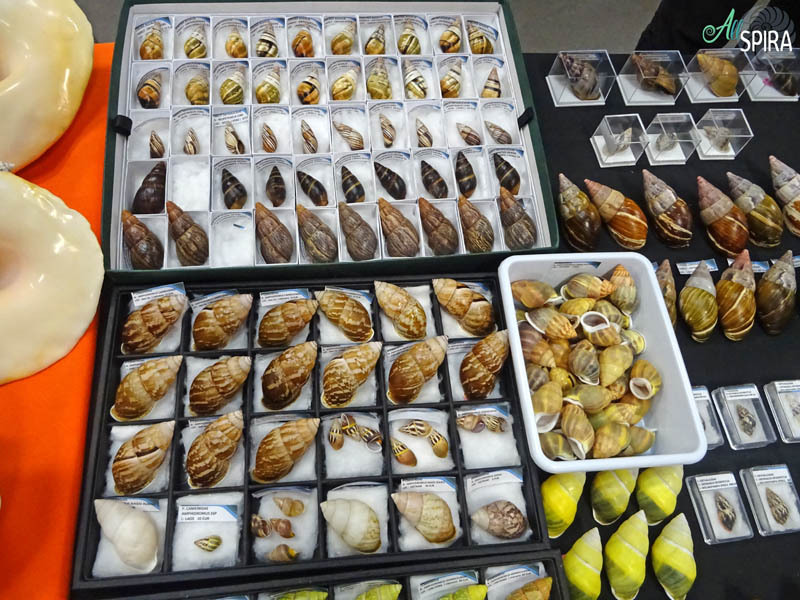 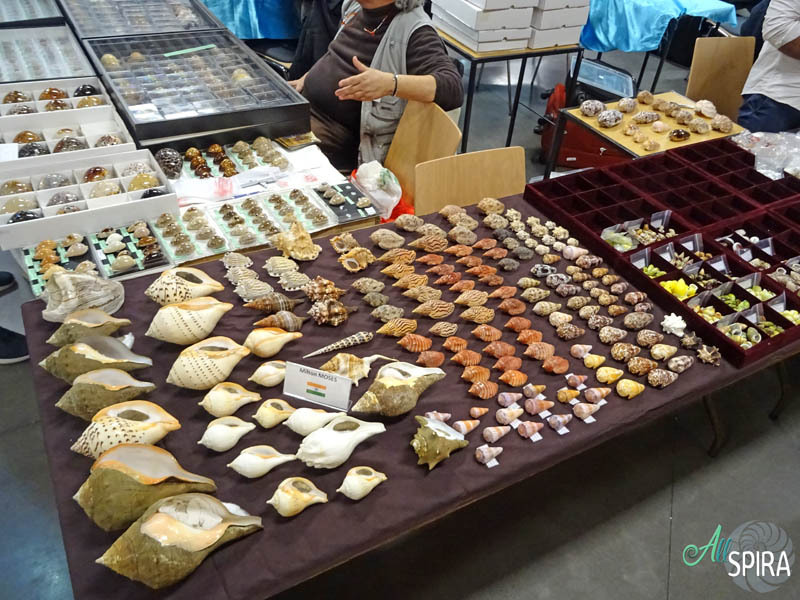 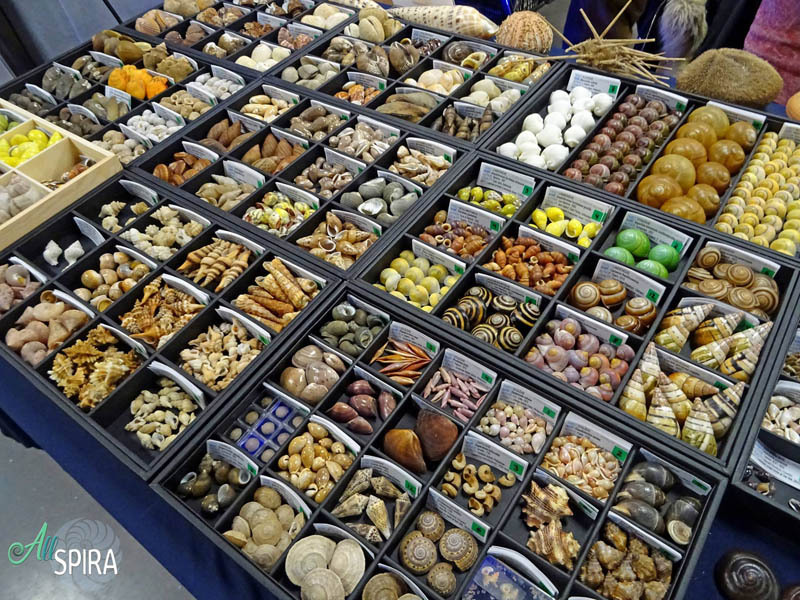 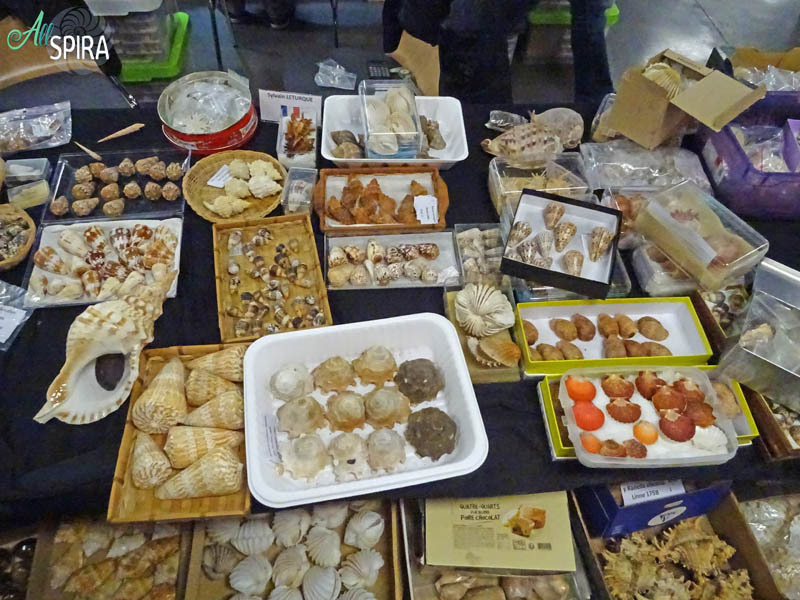 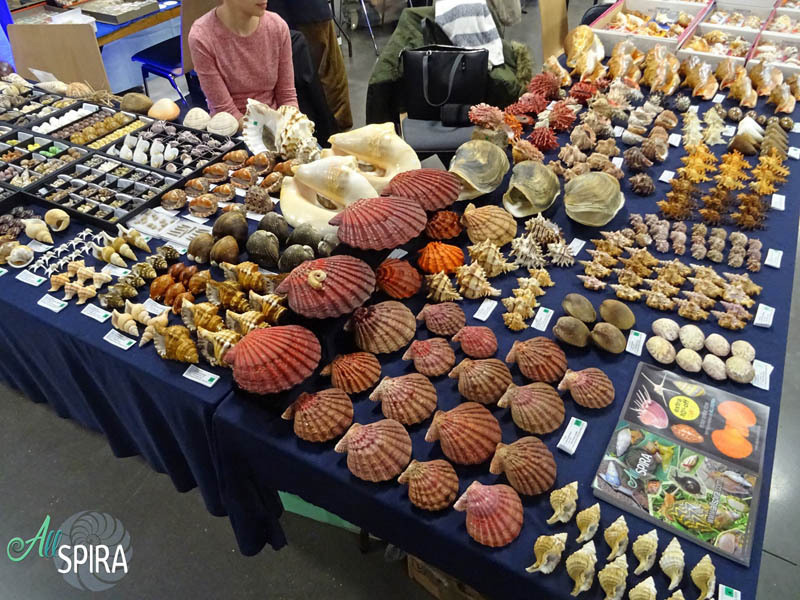 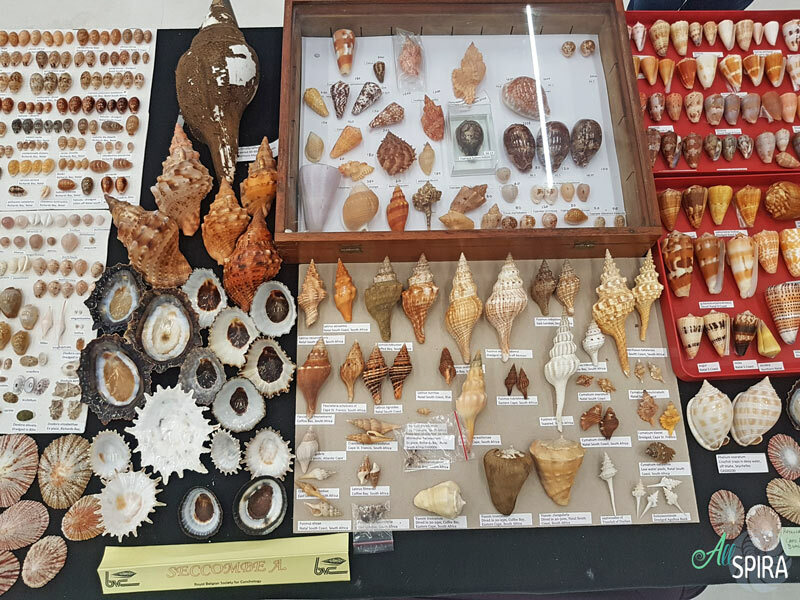 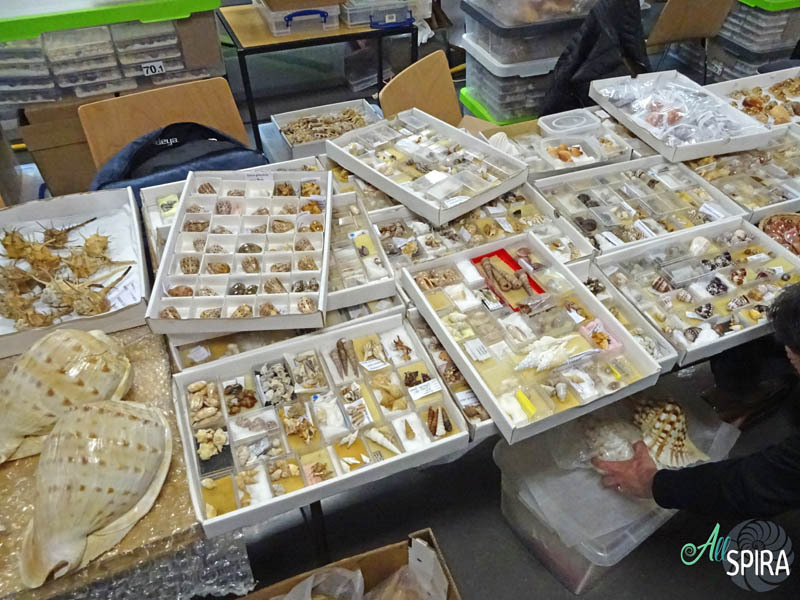 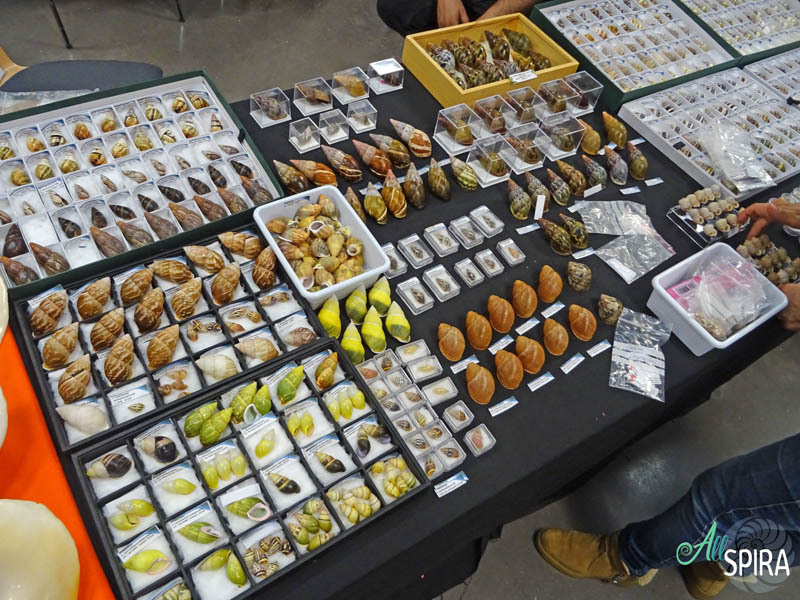 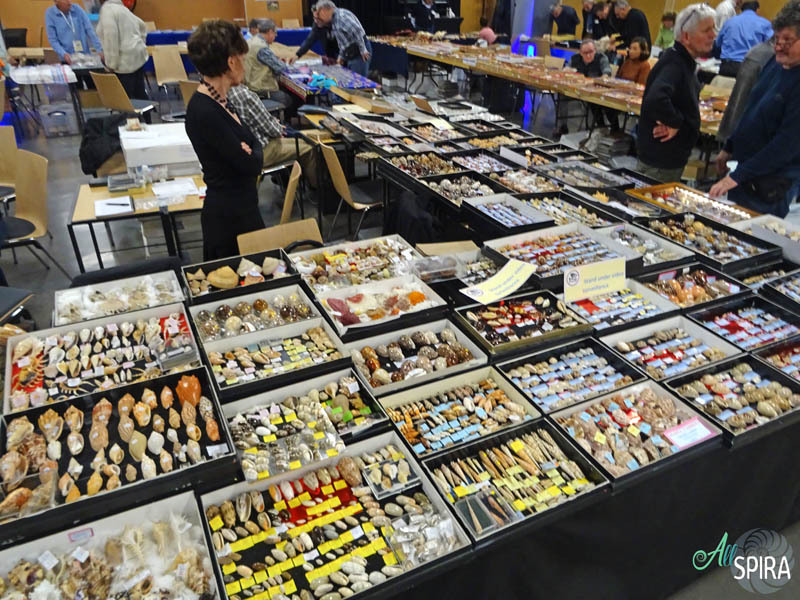 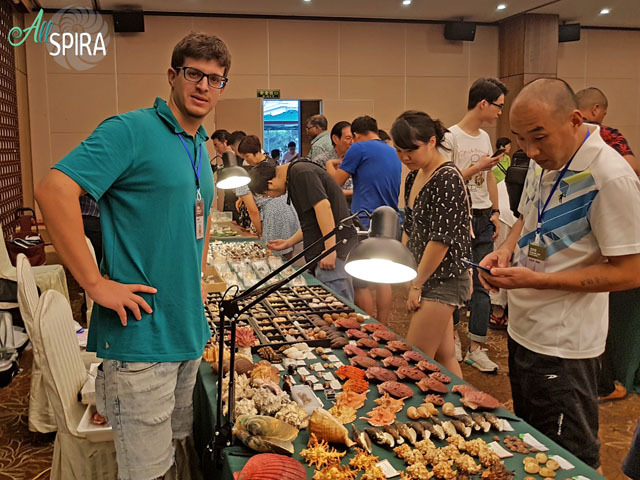 Also the shell show is good to make contacts and exchanges between the sellers, getting more variety in the offer.